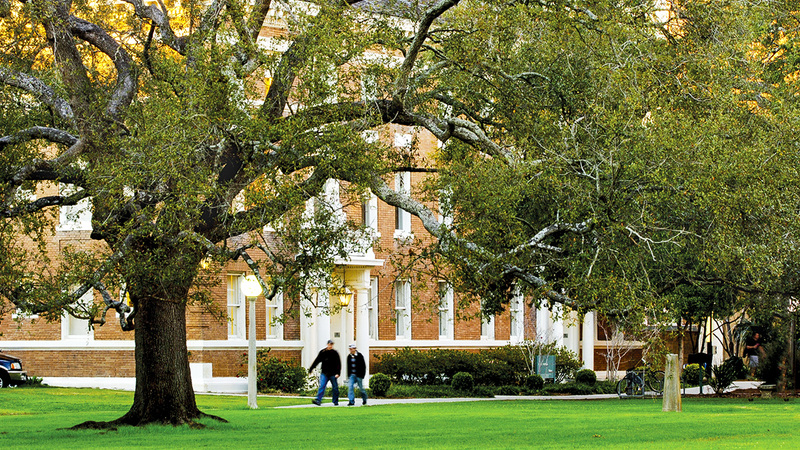 Located in the Carrollton neighborhood, the university was founded as the Medical College of Louisiana in 1834. In 1847 it was subsumed under the University of Louisiana. The university closed during the Civil War, reopening its doors in 1865. In 1882, wealthy merchant Paul Tulane donated money and land to the university, the previously public college becoming private and being renamed Tulane University two years later. 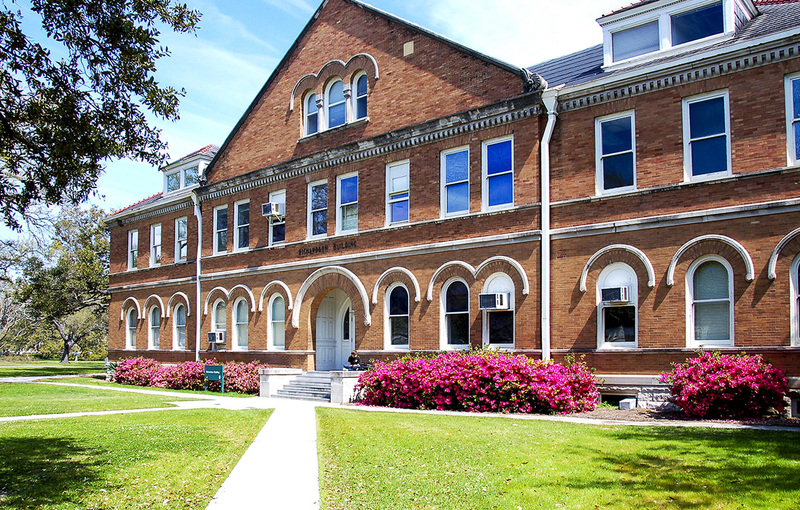 Newcomb College, Tulane’s coordinate women’s college, was founded in 1886. In 1894, the university began relocating to its current uptown campus on St. Charles Avenue, on land formerly owned by Loyola University. In 1938 landscape architect William Wiedorn collaborated with architect Moise Goldstein at Tulane, returning from 1950 to 1951 to work with architect Richard Koch on a men’s dormitory. The university closed temporarily in 2005 due to Hurricane Katrina, Christner, Inc. being hired to develop a strategic master plan, completed in 2006. In 2014 Sasaki Associates prepared a master plan for the university. The 110-acre main campus contains 80 buildings, several quads, and a park. 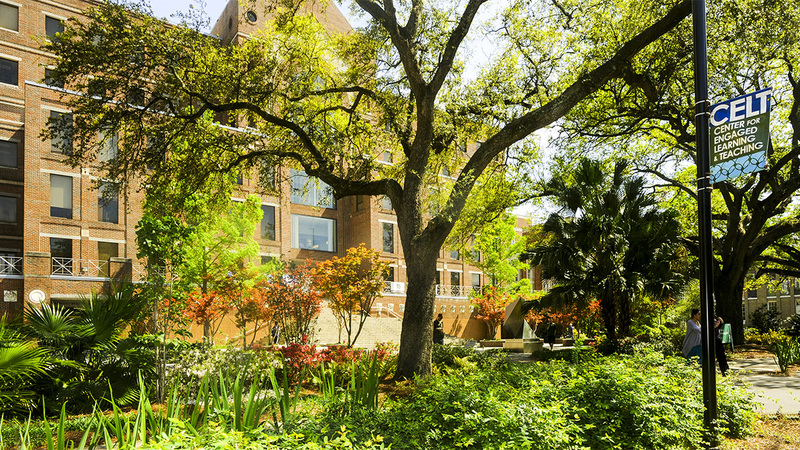 Surrounded by a primarily residential neighborhood, the long, narrow campus sits adjacent to Loyola University and extends from St. Charles Avenue to Claiborne Avenue. 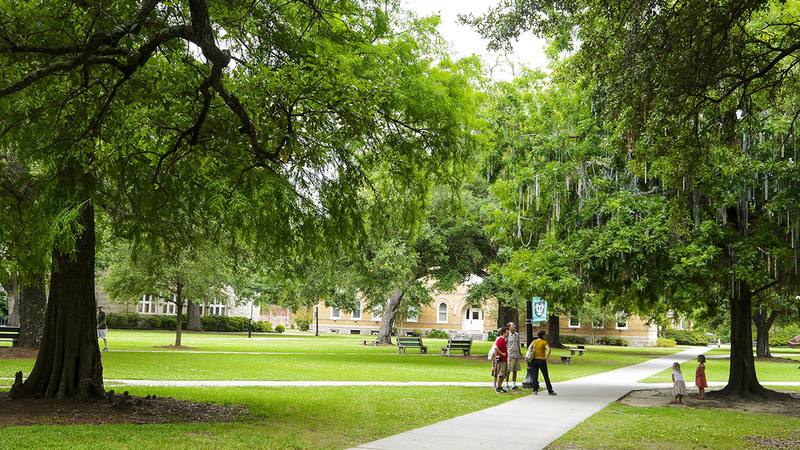 The campus is characterized by mature live oaks and its intimate scale, a product of its neighborhood setting. The vegetation selected for the campus consists of many species indigenous to the region. The oldest portion is the Romanesque Revival complex on the southern end of campus, which features more mature plantings. Gibson Quad is planted with an abundance of trees, laid out in an irregular pattern of grass and sidewalks, while the Newcomb area of campus is broad, axial, and open. 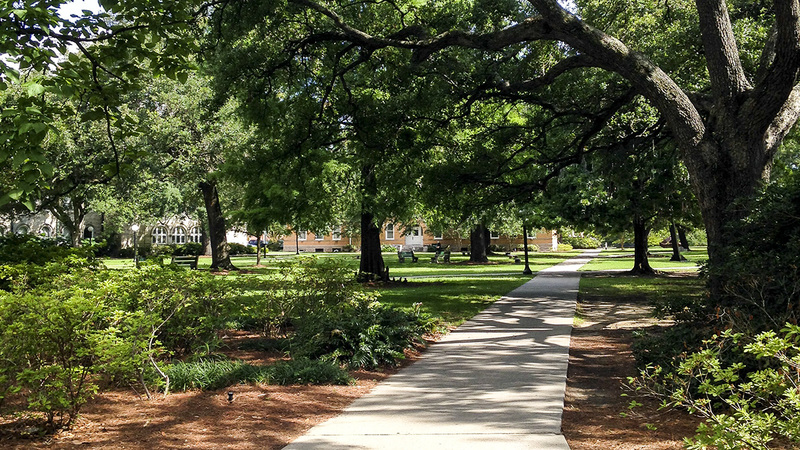 A tree-lined main vista consisting of Newcomb Quad and LBC Quad extends from Newcomb Hall to McAlister Auditorium. 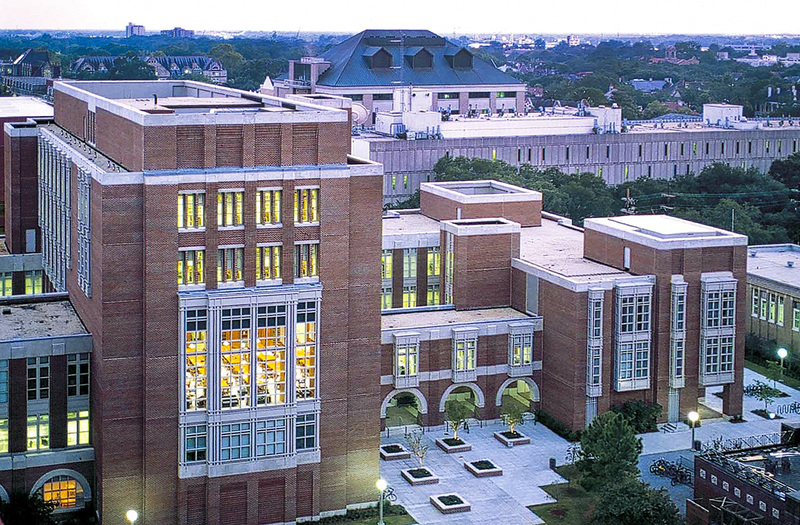 Tulane University was listed on the National Register of Historic Places in 1978.